AutoCAD 2011 news that are also relevant for Autodesk Architectural 2011. The building renovation tools in AutoCAD Architecture software help you to speed the design and production of renovation projects. New tools allow you to graphically represent design changes to existing buildings as existing, new, or demolished and coordinate renovation drawing views. Work more efficiently with functionality that enables you to create column grids, more rapidly generate columns, and improve the placement of doors and windows to wall points or gridlines. AutoCAD Architecture now includes new dynamic grid and navigation tools, such as a view cube and steering wheel implemented in the 2D wireframe visual style. AutoCAD Architecture 2011 increases wall drafting productivity with intuitive tools that enable architects and designers to draw wall layouts that better reflect actual construction. Wall component boundaries now work with Fillet and Chamfer, and the new Intelligent Cleanup command allows you to perform roughly laid out wall cleanup with a single action. Component selection during wall cleanup editing has also been simplified. Apply precise, persistent geometric and dimensional positioning between walls, column grids, columns, beams, curtain walls, multiview blocks, and mass elements with new AutoCAD Architecture constraints. AutoCAD Architecture software, the version of AutoCAD for architects, features a sleek user interface that offers optimized desktop organization, a larger drawing window, and quicker access to tools and commands. Find your favorite tools faster, locate lesser-used tools more efficiently, and discover new features more easily. The user interface design is consistent across many Autodesk products, helping to reduce your learning curve as you move between applications. Document and annotate faster with the robust library of detail components and powerful keynoting tools. Automate the creation of details and maintain consistent annotation. When your architectural details are complete, you can generate keynote legends in just a few clicks. Draw and document using walls, doors, and windows that mimic real-world behavior and construction. Modify walls and their endcap conditions on a component level for improved handling of common wall conditions, such as angled, cornered, or intersecting fire-rated walls. Automatically insert and place doors or windows with precise control. Move any wall, and all connected walls and spaces automatically update. 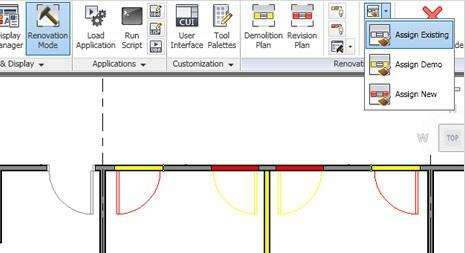 Use familiar AutoCAD architectural drafting commands such as Fillet and Chamfer on flexible wall components. Automatically tag every room in your drawing, complete with room areas. Change the bounding elements, and spaces update automatically, saving you time and helping to make documentation more accurate. Space definitions can include offsets from bounding elements based on preset rules or rules you define, enabling area calculations that reflect a variety of industry standards, including BOMA, DIN, and SIS. Generate 2D sections and elevations with material hatching directly from your floor plans. If your design changes, AutoCAD Architecture generates fully updated section and elevation graphics, maintaining layer, color, linetype, and other properties. Easily customize the look of out-of-the-box schedule styles to meet your company's standards. Or create new schedules from scratch, complete with your required calculations. Schedules link directly to your designs and can update instantly to reflect design changes.